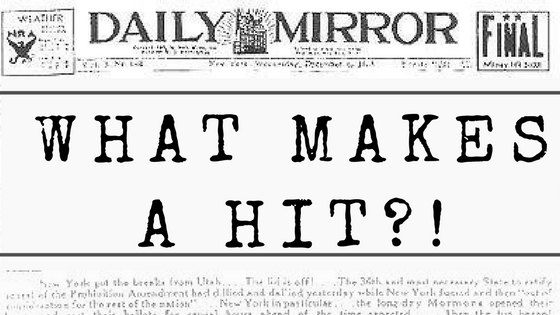 “Funny Face” was the title song of the 1927 Gershwin musical Funny Face, which also included the hit song “’S Wonderful” (discussed in the previous post of the “What Makes a Hit” series). “Funny Face” has been so closely associated with Fred Astaire—the original performer of both tunes—that subsequent artists have rarely recorded the work. “Funny Face,” the title song of the 1927 musical Funny Face, was neither a hit nor a miss. It never became a standard and has rarely been recorded by successive artists, an aspect by which a song’s success is often measured. Instead, “Funny Face” became so connected with its original performer, Fred Astaire, that it became difficult for later artists to reproduce the work. 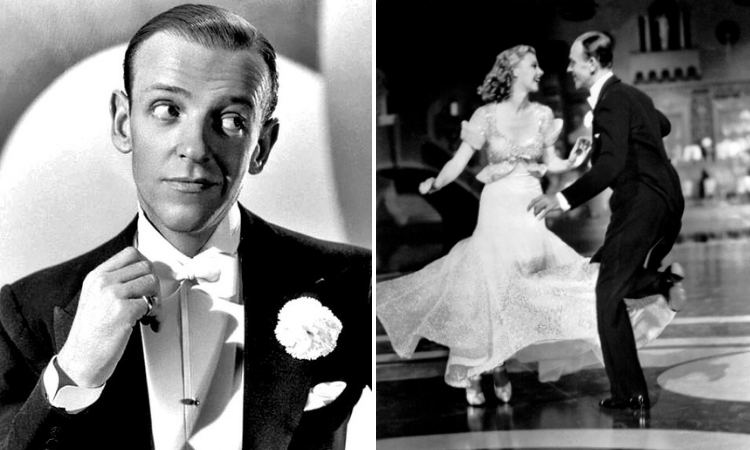 This post will explore the song’s close association with Fred Astaire and his impact on its popularity. Funny Face, based on a failed Gershwin musical titled Smarty, opened at the Alvin Theater on Broadway on November 22, 1927, and ran for 244 performances. When Smarty reopened as Funny Face, just four songs and the brother-sister duo Fred and Adele Astaire were retained. (For a more in-depth discussion of Smarty’s transformation into Funny Face, check out our earlier post on “‘S Wonderful”). Thirty years later, in February of 1957, a film by Paramount Pictures titled Funny Face was released. It should be noted that the film was actually written before the producers decided to use the Gershwins’ songs and give it the same name as the 1927 musical. Producer-composer Roger Eden brought back Astaire in the leading role but abandoned the brother/sister plot of the original Broadway musical in favor of a romantic musical comedy starring Hollywood favorite Audrey Hepburn. Eden also included four Gershwin songs from the original Funny Face—“Let’s Kiss and Make Up,” “My One and Only,” “’S Wonderful,” and the title song—plus an additional Gershwin tune, “Clap Yo’ Hands” from the 1926 musical Oh, Kay! Whether thinking about the musical Funny Face, or watching the 1957 film adaptation, it’s clear that the Gershwins were attentive to the talents of their male lead, Fred Astaire. Astaire was most famous for his unique dance style, and he, alongside notable dance partners including Ginger Rogers, Rita Hayworth, and Judy Garland, revolutionized dance on film in the 1930s and 1940s with his virtuosic and elegant choreography. He would often combine ballet with newer, more popular styles like tap. Even though these hybrid styles were extremely technical and difficult, Astaire and his partners made each one look effortless, working tirelessly to create flawless choreographies. [The] melody [of “Funny Face”] does little, goes no particular place, and makes no particular point. If one examines the chromatic figure used to fill up space in the accompaniment, the playing of the song becomes slightly more interesting. But even this palls. Ira’s lyrics were also crafted to suit Astaire’s charm. “Funny Face” is peppered with little slights, and one particular line—“though you’re no Queen of Sheeba, for world’s I’d not replace your sunny, funny face”—is such a backhanded compliment that it doesn’t even seem like a line Ira would write. But Fred had tremendous charisma, both on stage and screen, and could get away with these clever insults. Astaire “sold” the song through his performance, and just as the melody fit Astaire’s voice, the lyrics appear to be tailor-made for him to sing. Since the theatrical premiere of Funny Face in 1927, a limited number of artists have recorded this title song, each doctoring the tune to make it their own. For example, both Patti Austin (1959) and Ella Fitzgerald (2007) replaced some of Ira’s lyrics, with Ella using her own, more empowering lyrics in place of the original insulting ones. They also each made the chorus jazzier—Fitzgerald’s swinging rendition included a lush studio orchestra, while Austin’s upbeat, syncopated performance was accompanied by a big band. Both Austin and Fitzgerald’s versions are also more sung than Astaire’s original. None of these subsequent artists have performed the song as originally written by George and Ira. The hesitance of others to record “Funny Face” in its original form shows how much the song relied on the charisma and talent of its original performer to make it work. Pollack, Howard. George Gershwin: His Life and Work (1). Berkeley, US: University of California Press, 2007. Wilder, Alec. American Popular Song: The Great Innovators 1900 – 1950. New York: Oxford University Press, 1972.